With winter still dragging her heels and little sign of spring, Café Rouge has just launched their new seasonal set menu – classic French dishes with a twist. I’ve been visiting various Café Rouge branches since they first opened in 1989. I have my own favourites on the menu – the croque monsieur for example, a tasty toasted cheese and ham special which comes with fries – and it’s the kind of place where I’d be really sad to find that kind of thing missing from the menu. That said, old favourites need to be complemented by the new – and so, the seasonal set menu which is at the heart of the Café Rouge offering is a very welcome way to try a few new things at a reasonable price. We went along the other night to sample it – and were delighted to find that you can enjoy two courses for just £11.50, with desserts an extra £3.50 each. 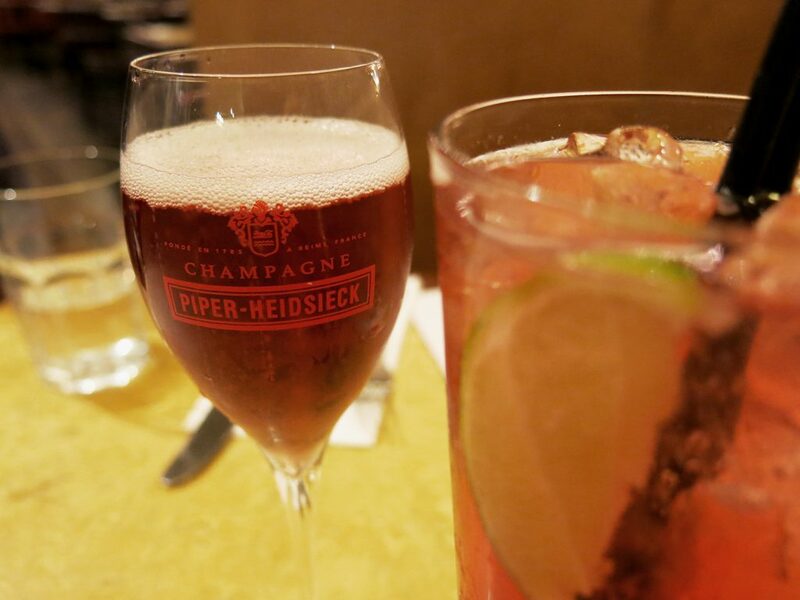 I started the evening with a glass of Piper-Heidsieck Rosé Sauvage Brut, real and very delicious champagne for just £8.50 a glass, while my companion enjoyed a refreshing Berry Punch of absolut vodka, raspberry, elderberry, blackberry and lime. 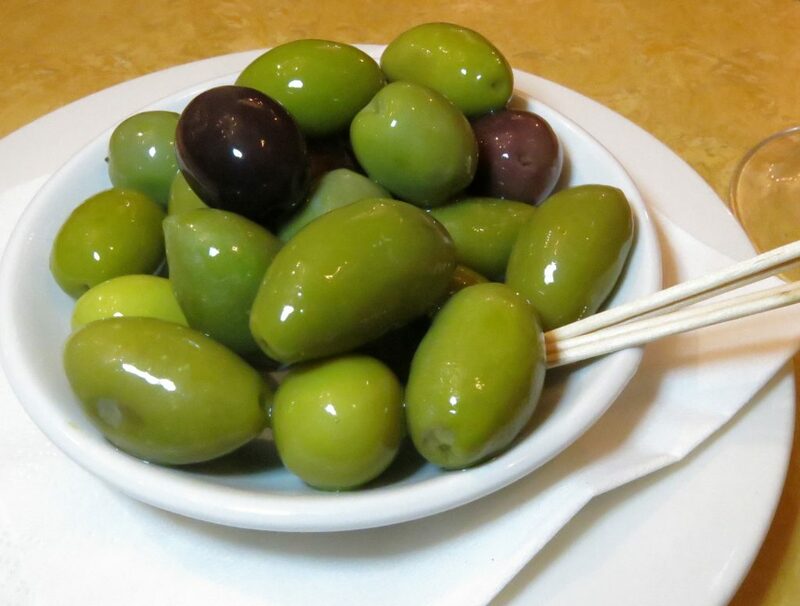 Olives to nibble on were followed by the Roast Vegetable Tartine for me and Potted Mackerel for my friend. 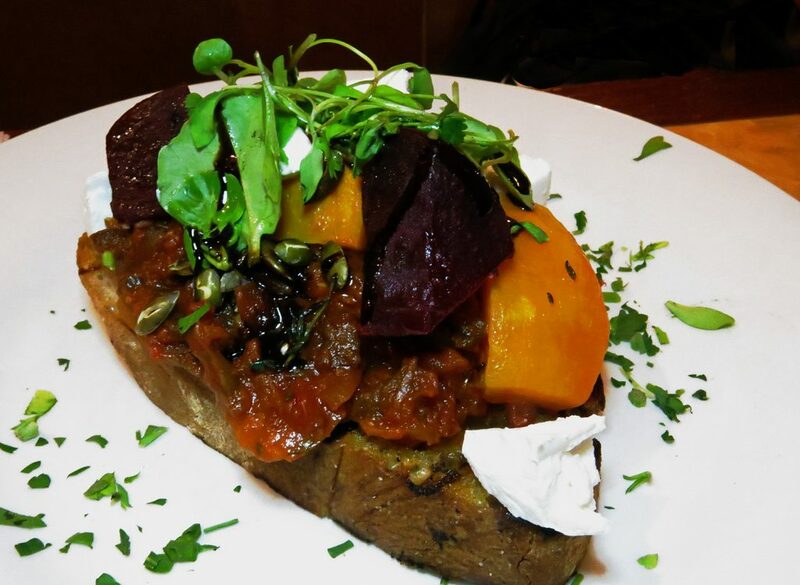 The tartine was wonderfully earthy, with a kind of vegetable ratatouille mixture topped with roasted beetroot, butternut squash and goats cheese. 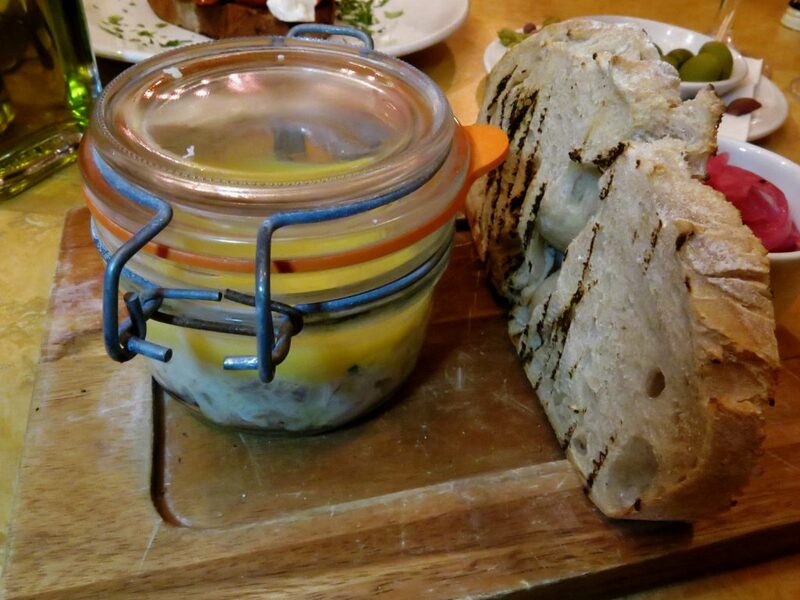 It would make a lovely lunch dish in its own right as would my companion’s potted mackerel, described as a rustic homemade pâté made with sustainably sourced British mackerel, of course, and served with sweet and sour pickled red onion and chargrilled rye and caraway bread. Despite the fact that he’d intended to order the Pork Rillettes (he was busy taking photos while I misordered!) he devoured the lot. For mains we picked the recommendation of our helpful waiter who suggested that the Boeuf Parmentier was worth trying. And, the classic Toulouse sausages and mash – a rather indulgent choice for me because in theory, I am trying to lose weight. The beef arrived in its own cocotte. 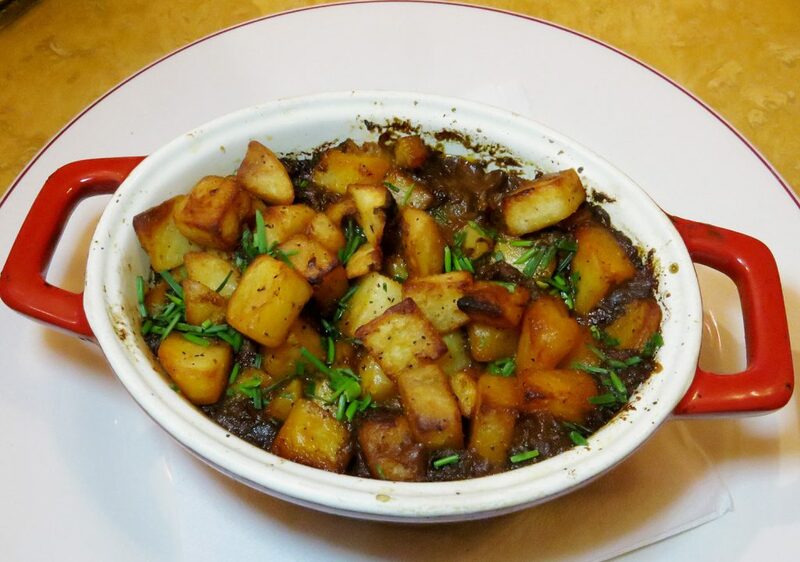 I will definitely be trying to make my own version of this – a rich braised beef in red wine with onions, mushrooms, carrots celery and garlic all topped with tiny cubes of crisp potato. It looked wonderful and a pleasant alternative to a beef in ale pie or similar. 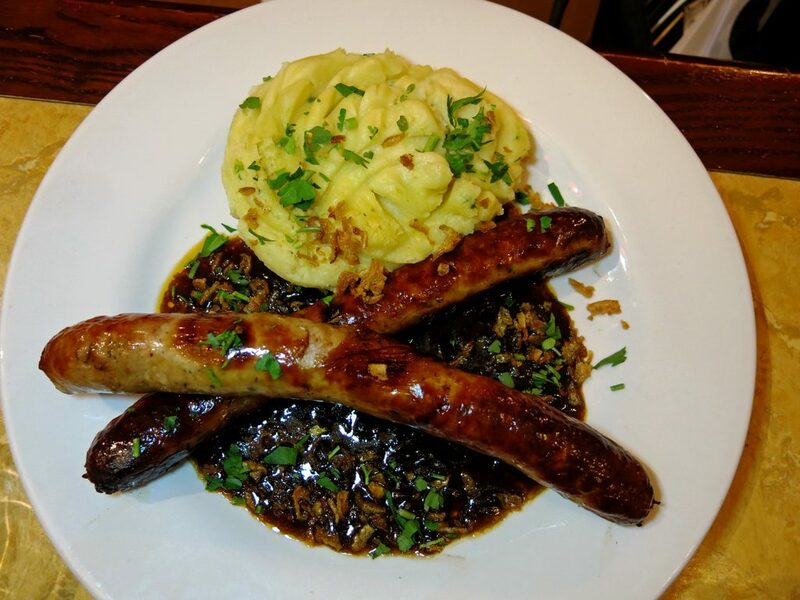 My Toulouse sausages with mash were a man-sized portion and I really couldn’t eat the whole plateful – I did manage to devour all the sausage and the rich shallot gravy. But, some of the herb mash went across the table just so I could have space for dessert. 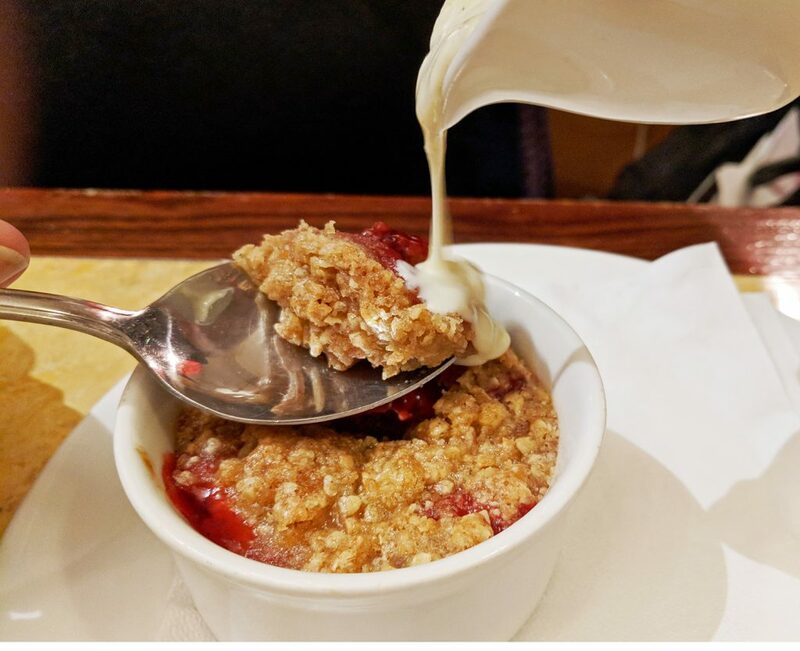 Apple and blackberry crumble was like your mum would have made, if your mum could cook. 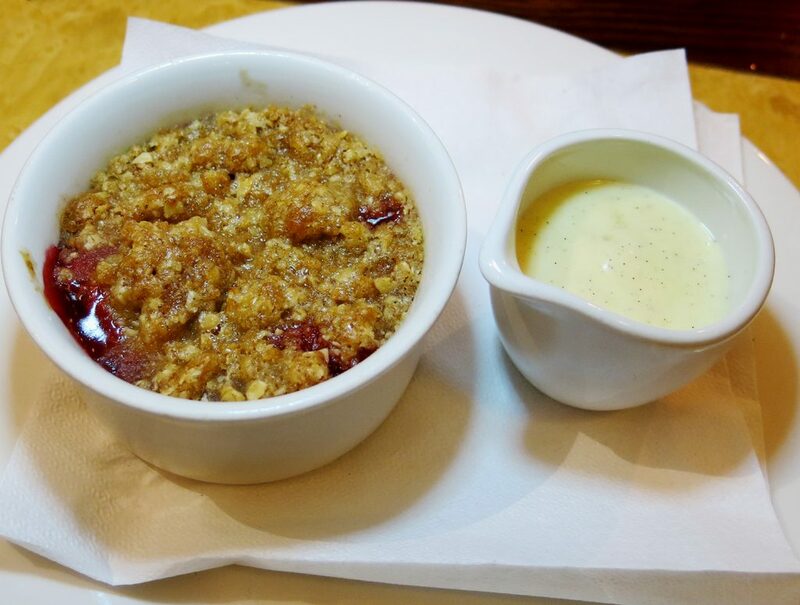 Cinnamon and oats added spice and texture to the crumble while the crème anglaise was deliciously laced with vanilla. 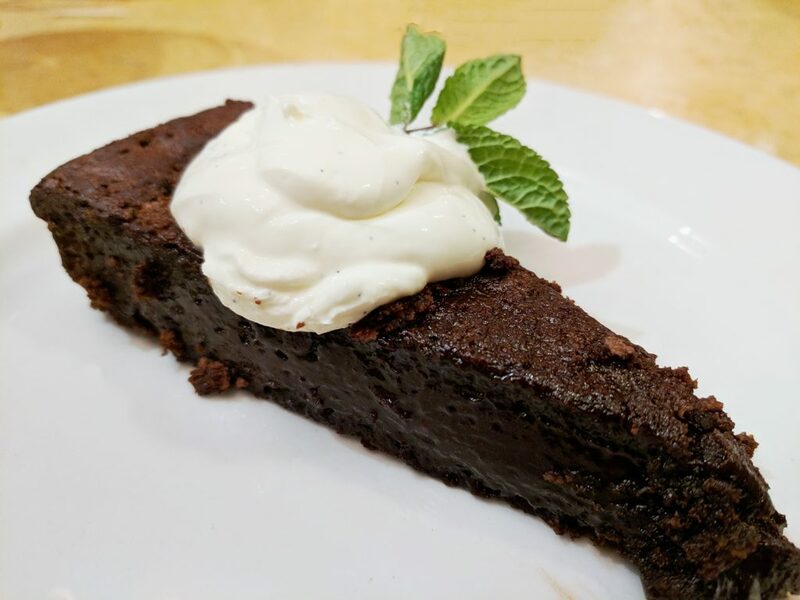 My companion was not disappointed by the Torte Au Chocolat, a rich dark chocolate ganache cake served with served with vanilla crème fraîche which had just the right amount of gooeyness and plenty of dark spice chocolate notes. We enjoyed a bottle of Malbec, Cote Lavande from France with the meal, a lovely full-bodied red wine with plenty of fruit. At £22 for a bottle, it was quite a steal. 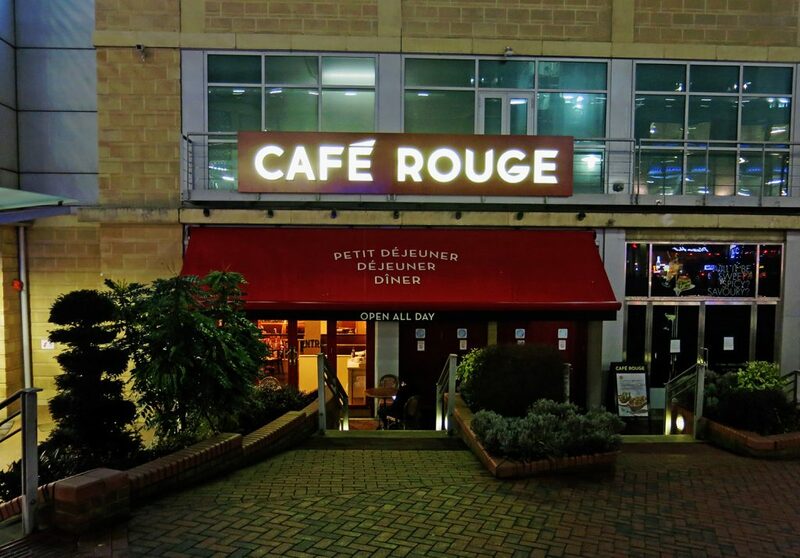 We dined as guests of Café Rouge at the Reading Oracle branch. 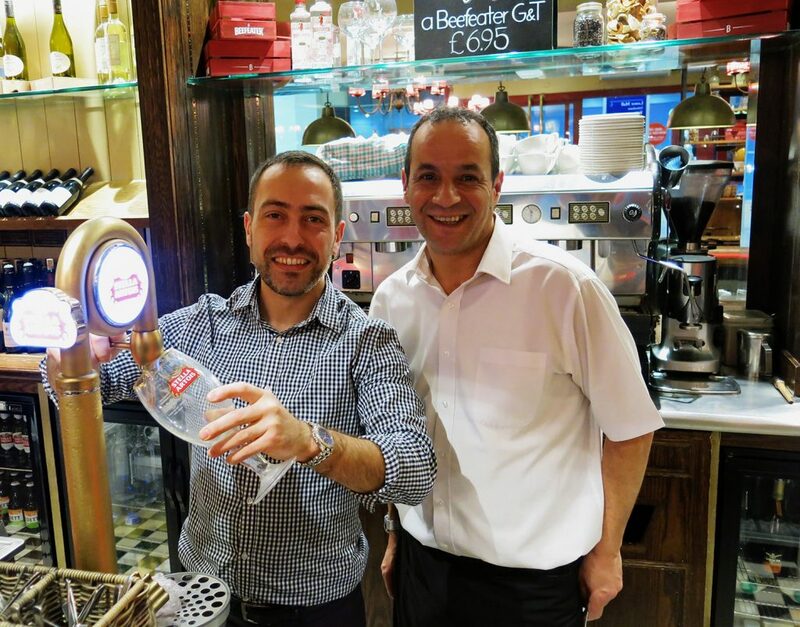 There are 77 Café Rouge restaurant across the UK and you can find your nearest using their website.